BRUSSELS, Kingdom of Belgium, October 22, 2013/African Press Organization (APO)/ -- Today, the EU approved new support for Nigeria to help promote women's engagement in peace and security in the northern part of the country, emphasizing the importance of women for development and peace stability. Activities will include forums for dialogue, radio programmes on the role of women in peace building, early warning systems and rapid response mechanisms for conflict resolution as well as conflict prevention trainings for women. The EU support also aims to ensure that girls and women subject to gender-based violence in four States of Northern Nigeria have access to protection services and reporting mechanisms. EU is determined to help change this. Women offer a huge potential to help lift the country out of poverty and bring social stability and prosperity to Nigeria. 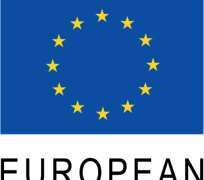 The EU is committed to helping the government tackle this issue.” said Ambassador David MacRae, Head of the EU Delegation to Nigeria. The programme decided today (EU funding: €10 million) comes as a strategic response to the UN Security Council Resolution (UNSCR) 1325 which called for the adoption of a gender perspective that includes the special needs of women and girls during repatriation and resettlement, rehabilitation, reintegration and post-conflict reconstruction. It follows the Resolution's multi-level model of implementation by seeking to achieve greater participation of women in conflict prevention and peace building, to develop tools and mechanisms to mitigate the impacts of conflict on women and girls as well as to establish a conducive environment for the implementation of UNSCR 1325.